Committed to providing you and your family with the best survival knowledge, skills and equipment. 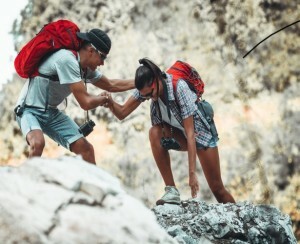 This is a great starter list for packing a camping or hiking bag. Many of the items cross over to a survival bug-out bag as well. Great article for understanding the proper balance of plants you will need to grow to survive. One must take into account calories and nutritional values that you would need to sustain yourself. Do you know what basics you need to survive an Apocalypse? Do you know what you need in an Apocalypse?! This infographic shows you what to have handy. There are real benefits to being prepared. Being prepared can reduce fear, anxiety, and losses that accompany disasters. Communities, families, and individuals should know what to do in the event of a fi and where to seek shelter during a tornado. They should be ready to evacuate their homes and take refuge in public shelters and know how to care for their basic medical needs. People also can reduce the impact of disasters (flood proofing, elevating a home or moving a home out of harm’s way, and securing items that could shake loose in an earthquake) and sometimes avoid the danger completely. The need to prepare is real. Disasters disrupt hundreds of thousands of lives every year. Each disaster has lasting effects, both to people and property. If a disaster occurs in your community, local government and disaster-relief organizations will try to help you, but you need to be ready as well. Local responders may not be able to reach you immediately, or they may need to focus their efforts elsewhere. You should know how to respond to severe weather or any disaster that could occur in your area—hurricanes, earthquakes, extreme cold, flooding, or terrorism. You should also be ready to be self-suffi cient for at least three days. 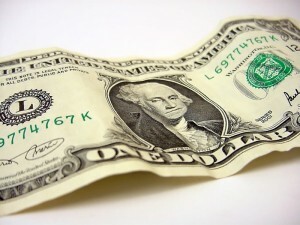 This may mean providing for your own shelter, first aid, food, water, and sanitation. Using this guide makes preparation practical. > Are You Ready? Why Prepare. A good survival checklist can go a long way. 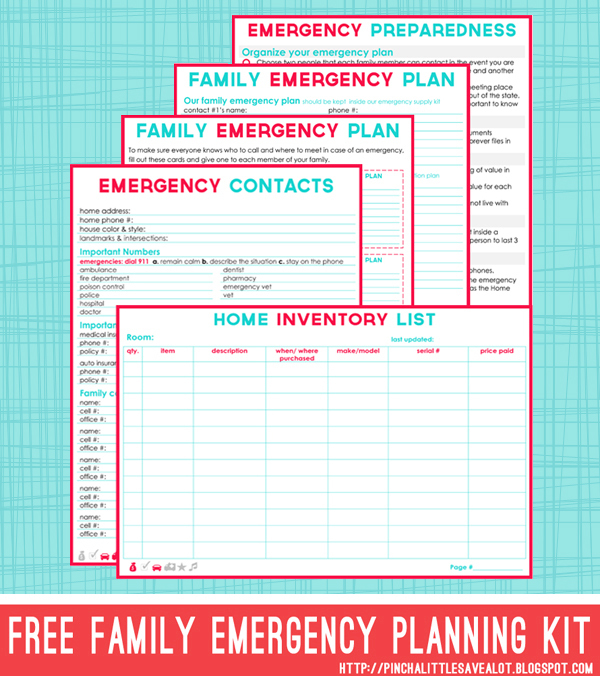 Whether it’s a doomsday preppers supply list or a simple disaster escape route, every family needs an emergency plan, even though hopefully you’ll never need to use it! The operation is equally simple. I think the most complicated part was mounting the expeller on a sturdy platform which could then be clamped securely to the kitchen counter. This operation uses quite a bit of cranking force at times and needs to be very securely mounted. It’s not difficult to operate (any 10 year old boy could do it) but it does take a bit of muscle, similar to hand grinding wheat for flour. I made a funnel out of a water bottle which fits the opening of the expeller perfectly and I ran a piece of clear tubing from the oil drip down from the expeller to where I set a bottle to collect the oil. At this point I was able to begin making oil and after lighting the heating lamp and filling the funnel with canola seed I was cranking away and my oil jar was filling rapidly. I wouldn’t want to set out to make several gallons of oil in an afternoon but the first time I tried it I made a quart of oil during a half hour phone conversation so it is not a real difficult or time consuming project. You can use the oil directly from the expeller or you can let it set in a jar in a warm place overnight so the particulates can settle to the bottom and then pour or siphon the top portion of the oil which is nice and clear. I prefer to leave the sludge in with the nut oils as it gives the oil a stronger flavor and more substance but it’s nice to have a “normal” bottle of canola oil for every day cooking use. I found the oil quality to be far better than anything I had ever tried before, which was not a surprise because anything made fresh seems to be better than what you get at the store. The oil is quite a bit darker than the oil from the store, but I found this is because it hasn’t been bleached or chemically treated – one more reason in my opinion to make it myself. I was really interested in finding out what other types of oil I could make with this since the manufacturer says it can be used to make just about any oil you can think of. I’ve tested every oil producing seed and nut I could get my hands on and so far have had nothing but smashing success. Each oil has unique expelling needs as well as looks and tastes different, but all are wonderful. All leave you with an abundance of leftover seed meal which can be used as a high quality animal feed protein supplement or are excellent used in the kitchen in breads or on oatmeal. Canola meal, which I tend to have a lot of, is not very tasty so I use it as a protein supplement for my animals. It’s around 40% protein and chickens, goats and pigs all seem to love it. 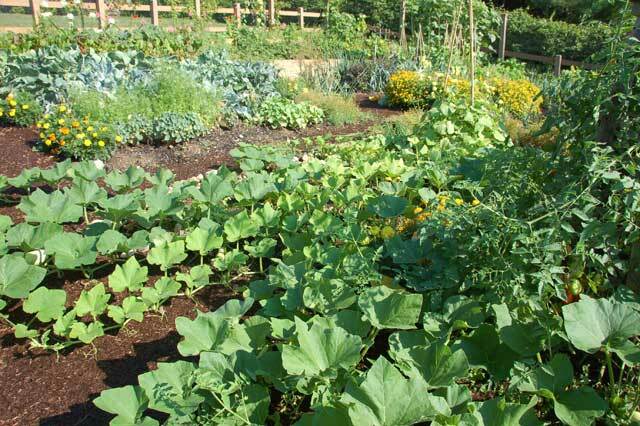 It can also be used as a high quality natural fertilizer for the garden. 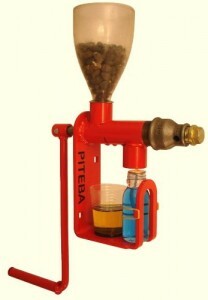 The manufacturer of the expeller can be found at www.piteba.com. The website has a lot of information on different oilseeds and detailed instructions for using the expeller. What’s The Difference Between Freeze Dried & Dehydrated Foods? Freeze dried foods are flash frozen and then dried. Freeze drying removes the water, not the flavor. So freeze dried foods retain virtually all their fresh food taste, vitamins and nutritional content. Weighs less than fresh. Freeze dried foods have 98% of their water removed. This significantly reduces the food’s weight, making it easier to handle and less costly to transport. For example, 3kg of chicken weighs only 1kg after freeze drying, and rapidly rehydrates back to its original weight. Freeze drying is generally more expensive then dehydrating. To create freeze dried food, the food item is first flash frozen and then low level heat is applied inside a vacuum chamber. Doing this dehydrates the food item and results in a dried product. After that the food item is packed for long-term storage. Freeze drying retains the color, texture, shape, flavor, and nutrition of the food item. 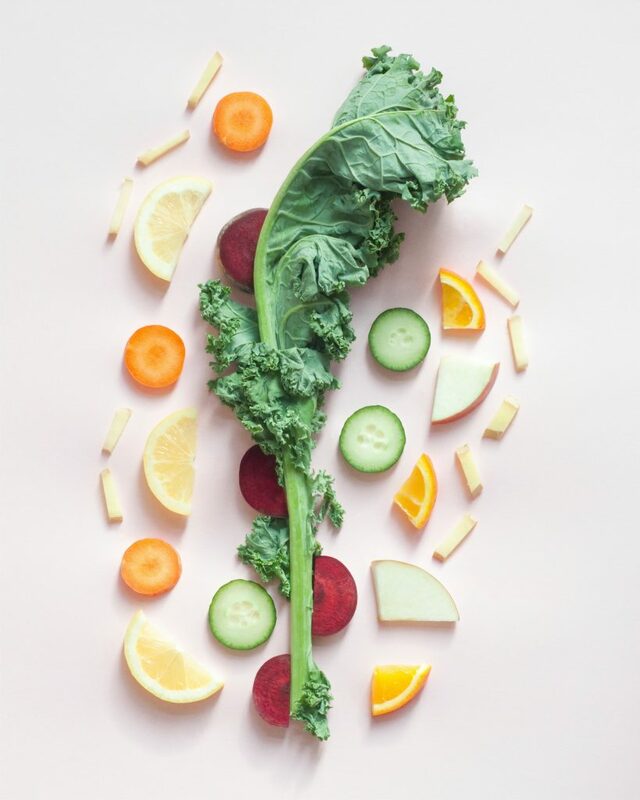 Dehydrated Foods are top-quality foods, that have been picked at their ripeness, cleansed and trimmed to leave only the best parts.These choice foods are then dehydrated, where 98% of their moisture is removed. This is done by a highly sophisticated drying process. They are then packed in heavy-duty enameled cans, and sealed with a special inert atmosphere to ensure the longest possible storage life. Because their bulk and weight have been greatly reduced, dehydrated foods are more compact and convenient for storing and require very little space. They offer quick mobility in the event of an evacuation alert. For example, one case of regular canned food weighs approximately 24 pounds. The same item of dehydrated foods would weigh from 36 to 45 ounces, and would be packed in just one #10 can. Dehydrated foods have approximately double the yield of regular canned foods even though their cost is much lower. Most of us already eat dehydrated foods daily. Foods like pasta, cereal, beans, cake and baking mixes, as well as many fast foods. In dehydrating foods, water is slowly removed by cooking it out of the food item, without cooking the food itself. Freeze drying is a process which is suitable for a wide variety of industrial products. These include agrochemicals, pharmaceutical intermediates, biological products, foods and flavorings. The purpose of freeze drying is to remove a solvent (usually water) from dissolved or dispersed solids. It is an excellent method for preserving materials that are unstable in the presence of water. In addition, freeze drying can be used to separate and recover volatile substances and to purify materials. The freeze drying process is particularly suitable for products which are sensitive to heat, subject to oxidation, or shear sensitive. Appearance – Freeze dried foods maintain their original shape and texture, unlike air dried foods which shrink and shrivel due to high temperature processing. Just add water and in minutes the food rehydrates to its original form. Taste – Tastes as good as fresh. Freeze drying removes the water, not the flavour. So freeze dried foods retain virtually all their fresh food taste, vitamins and nutritional content. Weight – Weighs less than fresh. Freeze dried foods have 98% of their water removed. This significantly reduces the food’s weight, making it easier to handle and less costly to transport. For example, 3kg of chicken weighs only 1kg after freeze drying, and rapidly rehydrates back to its original weight. Long Shelf Life – Freeze dried foods can be stored for months or years at room temperature without deterioration or spoilage. Low Storage Costs – Because it can be stored at room temperature, freeze dried food does not require costly cold or chilled storage facilities, making it much cheaper to store. Unless you have deep pockets, and most people don’t, you are going to have to purchase and store your prepping supplies a little at a time. When your at the store buying clothes for your kids, pick up a pack of batteries. When you are out picking up dinner at the grocery store, don’t forget to grab a couple of cans of soup. You get the picture. With all this in mind, here is a list of items that you can start buying when your out and about to add to your prepping supplies that will cost you right around 5 bucks. You would be surprised at how much stuff you can amass when you think to pick up a few extra things a few times a week. Add in some Aldi coupon codes and your entire grocery bill will shrink, allowing you to save money or get extra supplies. Three 12 oz cans of raviolis or spaghetti O’s. 2 packages of hooks and some sinkers or corks. Whether it’s $5 or $500 you have to spend per month, just start prepping a little bit at a time and it will add up. When I started I used my camping gear as my base and built from there. No matter how much you have to spend you CAN survive if you put your mind to it. Knowledge is free. Be sure to bookmark our site and follow us on Facebook for future articles, and if you have some time check out some of our past survival blog articles. Your Source For Survival Skills, Information, Products, and Preparation.